Learn the right way to build an automated follow-up system, set your business up to scale, and free up more of your time! Yes! I want to sign up. Stop the Plan, Plan, Planning. Take action! This is Practical, How-To Training to show you exactly how to make your marketing work for you, following up every step of the way to build and sustain your business. I designed this course for you so you can learn what took me nearly two decades of learning, experience, and trial and error to perfect without having to endure all of that yourself. In this course you learn the strategies and tactics you can implement to build rapport, nurture your leads, and put your best effort forward to turn those prospects into lifelong clients. IF YOU'RE READY TO DO INSTEAD OF PLAN TO DO, SIGN UP HERE. Learn how to create your own automated lead capture and follow-up system that lets you introduce yourself to any interested person that comes to your web site (and weed out people who waste your time). Learn how to eliminate the burden of individual follow-up and let technology work for you. Follow step-by-step video instructions on proven marketing strategies, broken down into digestible sessions. Use the "Here's exactly how you do it" guidebooks, templates, scripts, emails. Gain access to my private LinkedIn group to ask me anything! Download my exact materials that I used in my practice to version for your own firm. What's included in the Complete Relationship Marketing Blueprint? This comprehensive program is a 6-class step-by-step breakdown of how to create your own relationship marketing system that can help you automate your communications and capture the visitors to your site who are interested but not yet ready to commit. This class has so much content I had to break it down into 3 separate mini-classes, all of which you receive access to right away! In this class you learn how to set up the front end of your system where the people who arrive at your site who are not yet ready to set up a consultation have a way to get to know you. You will learn the steps to gathering prospective clients' contact information. We will walk through the process of creating your unique freemium, delivery of the freemium, and tips on integrating the freemium into your brand experience. Learn how to implement your prospect and client 1:1 communication plan. We will walk through how to make your own video from home, and implement it into your freemium delivery. We will go over my own automatic communication system that I use with my clients to help save me time, and therefore money. We will then walk through the process of hiring a contractor to help with the development of your freemium and marketing materials. Learn how to best position yourself to convert prospective clients into lifelong clients. We will walk through the elements of the Welcome Kit that I send prospective clients prior to the Initial Consultation that insures I am in the best possible position to close the deal. Learn how to implement the Cultivate and Cherish steps of the Complete Relationship Marketing System. We walk though how to set up a marketing calendar to facilitate the Cultivate step. We will then look at examples of how I have implemented the Cherish step in my financial planning practice. Learn how to utilize content marketing in your practice. We walk through the importance of content marketing, strategies for generating and repurposing content, and tools to help distribute content to increase your visibility in the market place. Learn how to form strategic partnerships with other professionals to promote and grow your practice. We will walk through the process of evaluating the different tiers of strategic partners and the steps to take when meeting with a potential partner. We also go through a strategic alliance that I have successfully utilized to grow my practice. How to decide with confidence exactly who your target is. You also receive my 9-Step Possibility Process Workbook ($47) that helps you leverage your previous experience and personal interests to find a target audience that fits for you. Attract more Leads into your Relationship Marketing System with virtual events. Learn how in my Workbook: How to Create a Successful Webinar or Teleseminar. I've included emails you can version out and use to enroll in your next event. It sells for $47, but worth ALOT more in time and energy saved! Finally, perhaps the MOST Valuable part of this whole program is the LinkedIn Group --- the online private forum where you can ask me ANYTHING as you implement the steps in this program. I will respond and help you along the way. Clients pay $25,000 a year to gain personal 1:1 access to me, and you can ask me questions through this forum as part of the Blueprint program. 1. HOW TO SYSTEMATIZE YOUR CLIENT COMMUNICATIONS Guidebook - a step-by-step guide to plan out your client outreach and nurture. You'll also receive my CLIENT COMMUNICATION TRACKER, an easy-to-use excel workbook that you can customize to fit your client experience and keep tabs on what communications you send. 2. THE COMPLETE RELATIONSHIP MARKETING BLUEPRINT ACTION PLAN - Keeping track of all of the actions you need to take and staying clear on the TO DO's can be overwhelming and stop you in your tracks. As a special extra surprise bonus, at the end of the 6-classes, you will have access to your COMPLETE RELATIONSHIP MARKETING BLUEPRINT ACTION PLAN in the Members Area. This Plan will summarize all of the ACTIONs I call out across the coursework, giving you an easy checklist of tasks to keep you on target to creating the practice you want! What is the investment for the Blueprint online course? For a limited time, you can gain access to all 6 Classes and all 6 bonuses including the private forum where you can ask me anything for only $997! Now is your time to make a change to the way you run your business. 1. Building your business: Speak, write, advertise, network - create awareness and interest in your business. 2. Relationship richness and professional satisfaction: Deepen client relationships, strategize, support; feel the satisfaction of the work we do. 3. Balance, wholeness, fulfillment: Spend more time outside the office, with family, friends, or pursuing your interests. Nurture the COMPLETE you. I implemented this system I teach you in this course when I started my financial planning firm from scratch in 2006. This system supported me as I grew from $0 to a meaningful six figures in revenue in less than 3 years. The system worked so well, I still receive leads into a practice I haven't operated for over 2 years (yes, they still find me!). When I launched my marketing training business in 2010, the first thing I did was set up the SAME RELATIONSHIP MARKETING SYSTEM. I have a system in place that is working when I am not. On any given day, at any hour, a prospect can learn about my service(s), come to my web site, introduce him/herself, and I can start building a relationship. AND I DO NOT SPEND A MINUTE ON IT. This is POWER of this system. I know that with my system in place any person with an interest will be able to get to know me without having to commit to a consultation or purchase my programs out of the gate. My clients, too, can feel that I am paying attention to them, that I care about their progress, and I DO NOT HAVE TO BE THERE or even spend time away from my family to keep communicating with them. This amazing gift I have given myself allowed me the freedom to spend time with my family, practice yoga, take vacations, and even live abroad while still running a business. I want you to experience this freedom, this flexibility, this fulfillment! I know how hard it can be to decide if you want to spend money on a training program. You may have tried many courses and coaches in the past, with less than ideal results. I know how powerful this program is, and I know it's worth triple or quadruple the regular price. With a 100% money back guarantee, this is the perfect time to try out my Complete Relationship Marketing Blueprint. I've worked with coaches before, and what Kristin is doing is miles ahead of what I've had in the past! Kristin's Complete Relationship Marketing Blueprint has been an invaluable source of information and advice for growing my practice... Kristin has a very practical way of presenting material and offers specific ideas, many that I've implemented already!... She is generous in sharing exactly how she does things, what works, and even what didn't work... I highly recommend the Blueprint program. You can try out the course without worry. If you are not 100% satisfied, I will refund your money. I am confident this course will help you above and beyond your investment (many times over), but if you're unhappy, you get your money back. No questions asked. While I can't guarantee results for you, if you're willing to be my student, I'm willing to teach you everything I know about taking a lead to a lifelong client through my Complete Relationship Marketing Blueprint program. 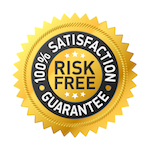 And with the 100% satisfaction money-back guarantee you have no risk.